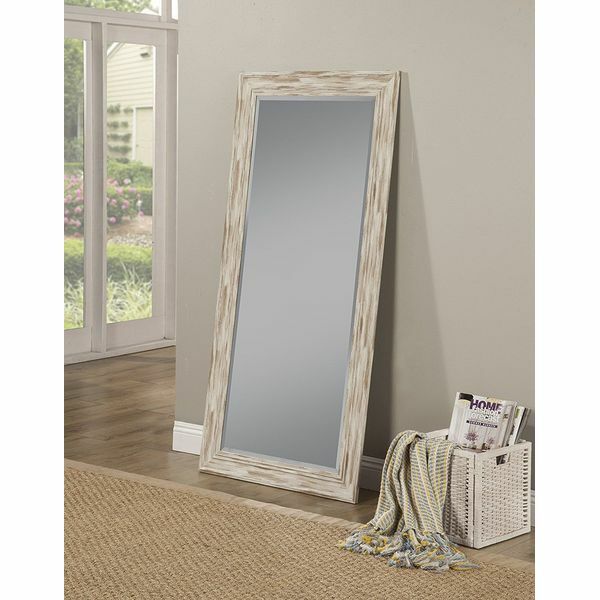 Finish off the look of your farmhouse-style bedroom or bathroom with the inclusion of this Sandberg Furniture Antique White Wash Farmhouse Full Length Leaner Mirror. The mirror leans lazily against the wall and is framed using beautiful wood that retains its natural texture, giving your space a rustic appeal. 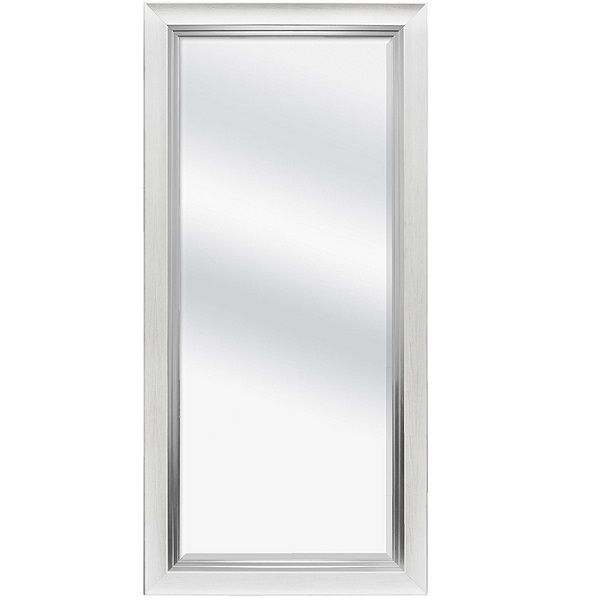 Add elegance and functionality to your bedroom or bathroom with the inclusion of this MCS Silver Beveled White Woodgrain Leaner Mirror. The polystyrene and glass mirror has a gleaming silver finish that adds instant luxury to your space and measures 31.5 inches by 65 inches in size. Minimalistic, sleek and straightforward, the Rectangle Bedroom Floor Mirror is an excellent choice for modern bedrooms in need of a simple mirror. The mirror has a thin, barely-there frame that easily leans against the wall and measures 65 inches in height by 22 inches in width with a 5-millimeter-thickness. Accessories: All framed mirrors have hangers attached to the back & are ready to hang. 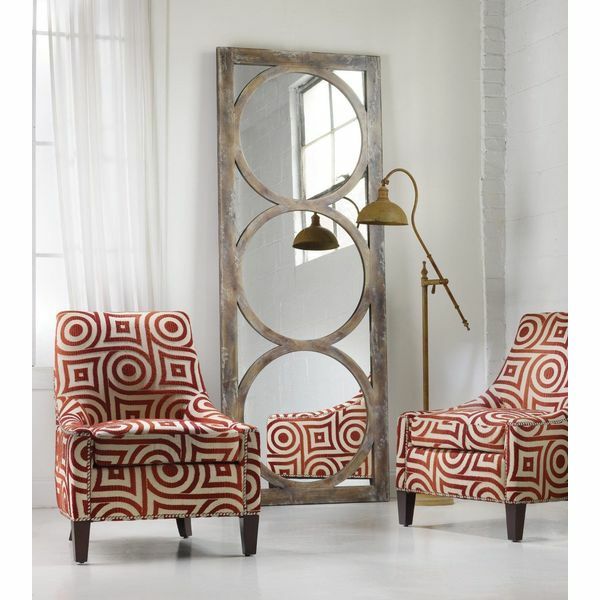 The Marcello full floor rustic mirror would be an excellent way to add some flash to an otherwise bare wall. Stunningly smooth edges are the direct result of the beveled design. 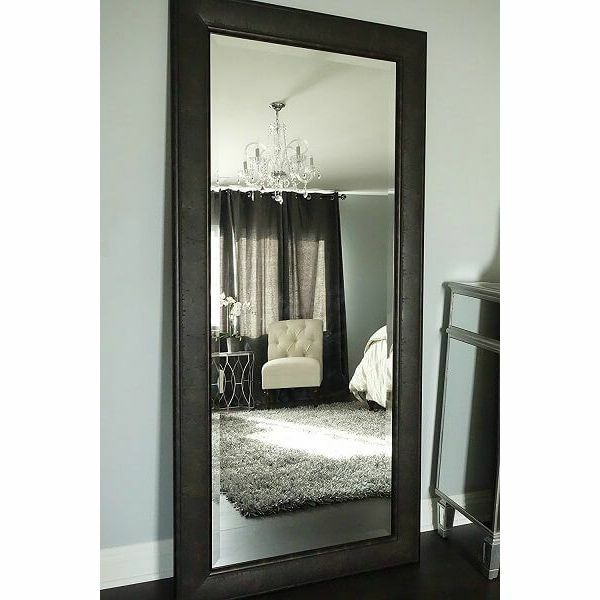 A rustic dark charcoal frame gives the mirror a very deep appearance that you will never get tired of. 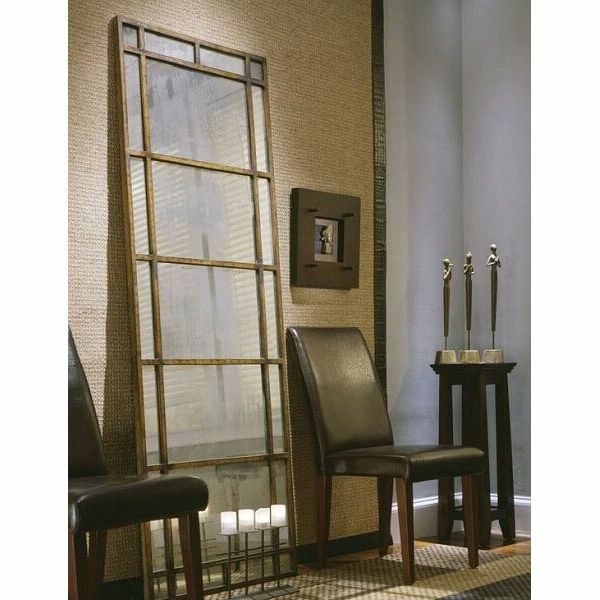 Each panel of the frame is over four inches wide, which does an excellent job of making the mirror stand out regardless of what room it is displayed in. If you like the mirror but you do not want to just prop it up against a wall, you will like the fact that a hanging kit is included. Size: 29″ x 79″ x 2″. May be hung horizontal or vertical. 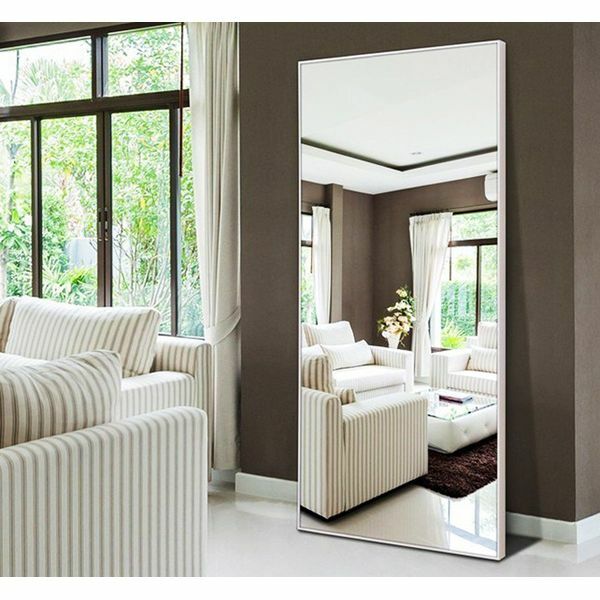 Top off the classic theme inside of your living quarters with the addition of this 79-inch mirror. This mirror, which is designed to look like a classic window pane, will not allow sunlight to enter your home, but it will definitely brighten the appearance of your home’s interior. Heavily antiqued gold leaf is used to construct the mirror’s frame. Heavy antique effects used on the mirror itself give it that sophisticated smoky appearance. A special coat is applied to the mirror’s backing to ensure that it is not subjected to oxidation or other harmful elements. Condition/ Qualilty: Brand New, First Quality. Turn your home into one from a classic movie with this extremely unique mirror. Three circular mirrors are stacked on top of each other, which creates a stunning reflection that you and your guests will enjoy for years to come. A hand-forged metal frame topped off with a silver finish combined with a charcoal wash give ensure a high level of quality and a sophisticated appearance. Due to the hand crafting used to piece this mirror and its frame together, no two will be identical. Add this to your collection of home décor today.